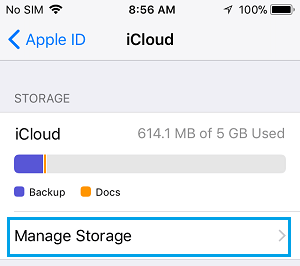 App related Documents & Data can quickly add up in your iCloud Account and this can be of concern to users with limited iCloud storage space. 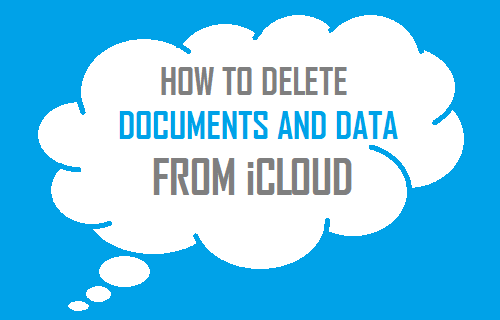 Hence, we are providing below the steps to Delete Documents and Data From iCloud. Many Apps on your iPhone end up storing App Caches, Sign-in info, Message history and certain App related attachments to iCloud. All such App related Data is classified or labeled as “Documents and Data” in your iCloud Account. 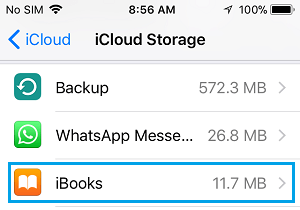 Over a period of time, App related Documents and Data can start occupying a good amount of storage space in your iCloud Account, making it necessary to free up storage space in your iCloud Account. 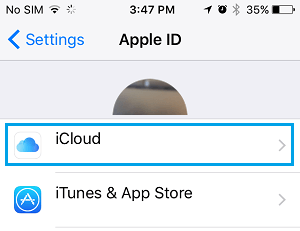 Tip: To be on the safer side, it is recommended that you delete Documents and Data from iCloud only for those apps that you no longer use and for those apps that are not really important for you. 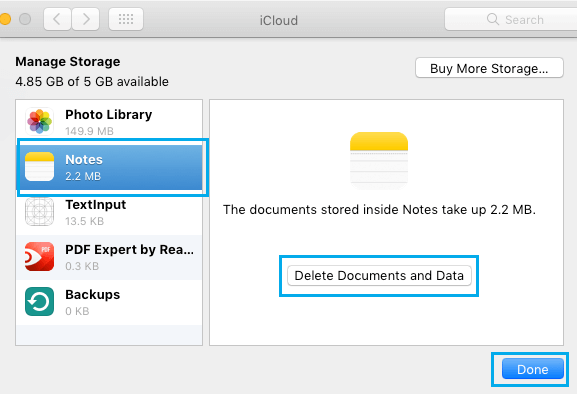 In case you were not aware, you can actually delete Documents and data from iCloud right from your iPhone or iPad. 2. On the Settings screen, tap on your Apple ID. 3. 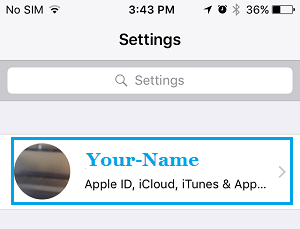 On Apple ID screen, tap on iCloud. 5. On the next screen, you will see list of Apps and the amount of storage space taken up by each up in iCloud. The Apps using the most storage will be appearing at the top of the list. 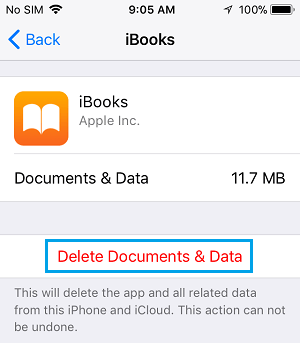 Tap on the App for which you want to delete Documents and Data From iCloud (See image below). 6. On the Apps info screen, tap on Delete Documents & Data option (See image below). 7. On the slide up, tap on Delete again. This will delete Documents and Data from iCloud related to this particular app. You can repeat the steps above for other Apps and recover as much iCloud Storage Space as possible. 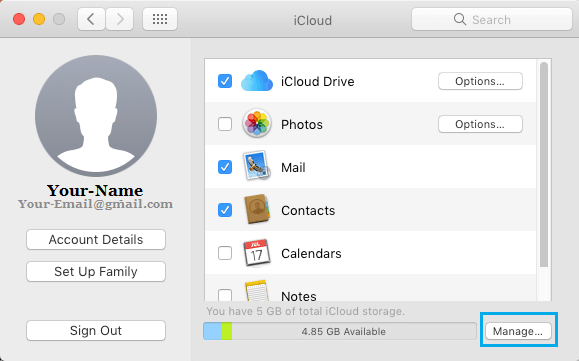 Just like iPhone, you can also Delete Documents and Data from iCloud, directly from your Mac. 1. Click on the Apple Icon located in the top menu bar of your Mac and then tap on System Preferences… option in the drop-down menu. 2. On the System Preferences screen, click on iCloud. 3. On the next screen, click on the Manage button located in the lower right corner of the iCloud screen (See image below). 4. 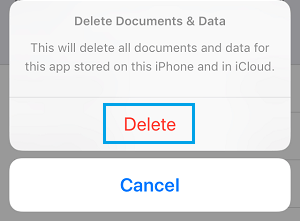 On the next screen, select an App from the left column for which you want to Delete Documents and Data from iCloud and then Click on Delete Documents and Data button (See image below). 5. Tap on Done to close the Manage Storage screen. Now, repeat the steps above with all other Apps and this way you might be able to free up a good amount of iCloud storage space. This is especially true in case App related Documents and Data had been accumulating in your iCloud Account for a long period of time.